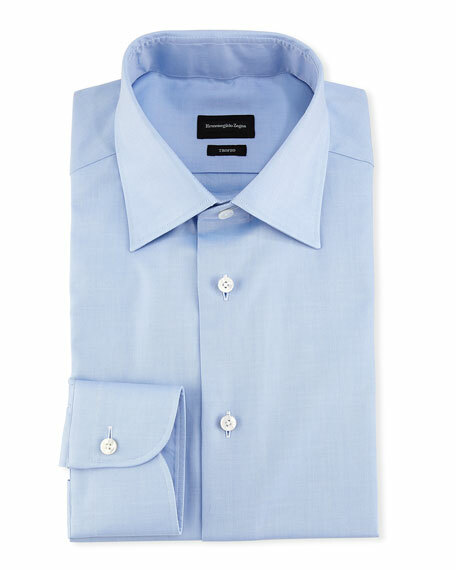 Canali dress shirt in two-ply, long-staple plaid weave. Spread collar; mother-of-pearl button front. Rounded barrel cuffs. Shirttail hem. Cotton. Machine wash. Made in Italy. Ike Behar "Jeffrey" dress shirt in micro pattern. Peaked collar; button front. Rounded barrel cuffs. Shirttail hem. Single-needle tailoring. Naturally wrinkle-resistant. 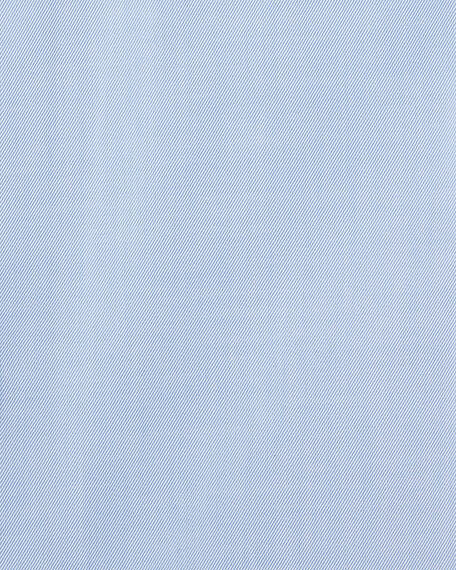 High-count natural stretch cotton. Fits trimmer in smaller sizes and fuller in larger sizes. Made in Italy.